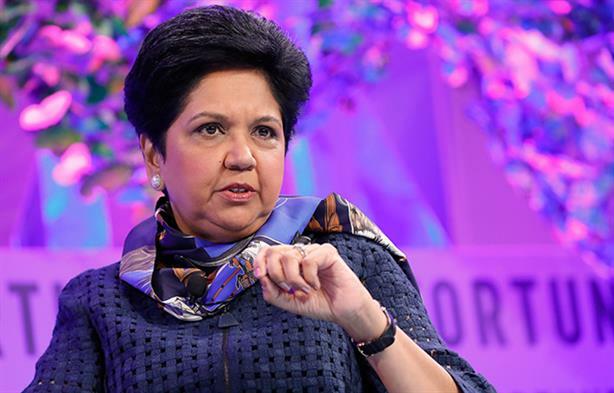 PepsiCo CEO Indra Nooyi's comments about women and Doritos left a bad taste in the mouths of many consumers. Snackers are calling out Doritos as sexist after the CEO of its parent company said it is releasing a "lady-friendly" version of the chip because women "don’t like to crunch too much." Indra Nooyi, chairman and CEO of Doritos parent PepsiCo, told The Telegraph the company is launching "low crunch" chips that come in special packs designed to fit in women’s handbags. Nooyi told the paper, "[Women] don’t like to crunch too loudly in public. And they don’t lick their fingers." Many women disagreed with Nooyi’s statements on social media. Here’s a taste of how people are reacting on Twitter. @PepsiCo You are out of touch with women. We ladies are *not* looking for 'Lady Doritos'. We want equal pay, no sexual harassment, proper medical insurance for our health needs and no discrimination. Can @PepsiCo deliver this for our society and the ladies? On Monday evening, PepsiCo said in an emailed statement that "the reporting on a specific Doritos product for female consumers in inaccurate. We already have Doritos for women - they're called Doritos."